If you have a promo code, please fill it in and get your discount! 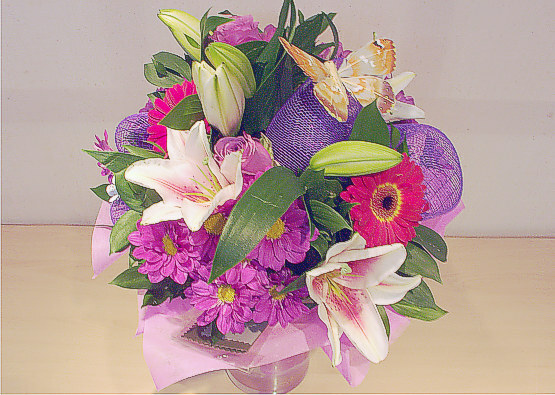 Description: A vivid bouquet of lilies, chrisanthemums and gerbera for various occasions! Please, select your destination to see the delivery prices and cut-off time for accepting same day orders! If your destination is not in the list, please select other destination at the end of the list. Be aware that to small villages we deliver certain days of the week, so please contact us to inform you.